Elemental Creepers Mod for Minecraft is an incredible mod which lets you to add extra units in your biome. It adds a total of 15 Elemental Creepers (mobs) with different abilities and characteristics. Every creeper is equipped with super powers for e.g. Magma Creeper creates pool of Lava, Earth can create sand structures and so on. You can spawn the Elemental Creepers by crafting an egg and using it. You can check it’s recipe below. Description: A tool for Minecraft that add multiple mobs in-game. Download and install Forge API and run Minecraft once. Download Elemental Creepers mod zip file from link above. Go to Start Menu > Type %appata%/.minecraft/bin and press Enter. Open Minecraft.jar file using WinRAR or 7zip. Open mod zip or extract it, drag and drop all its contents into Minecraft.jar Overwrite files, if anything pops-up. 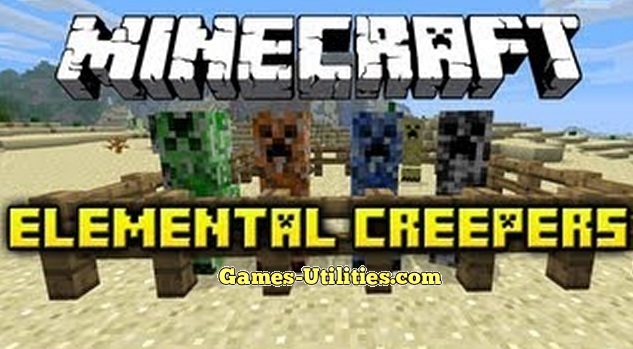 Enjoy playing Elemental Creepers Mod for Minecraft 1.8.9/1.9.1/1.7.10 If you have any information or query related to this mod please feel free to share with us. Keep coming here and check the latest updates of your favorite game..